Every recipe does have a story. And this one is from my very first TV segment! Local Memphis on New Channel 24... Thank you for having me on the show! 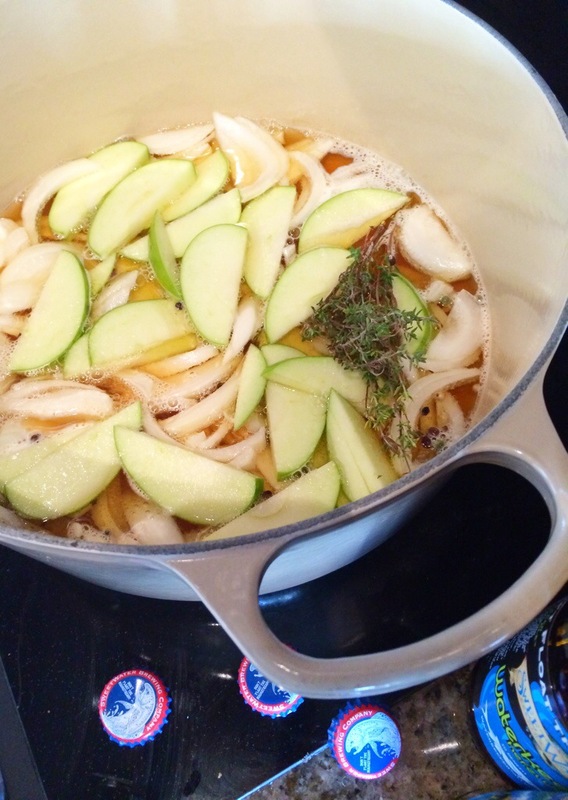 Start by combining the beer, apple, onion, crystallized ginger, peppercorns, thyme, and salt into a Dutch oven or large pot. Heat the pot to medium high heat and let the ingredients slightly come to a boil for about 5 minutes. 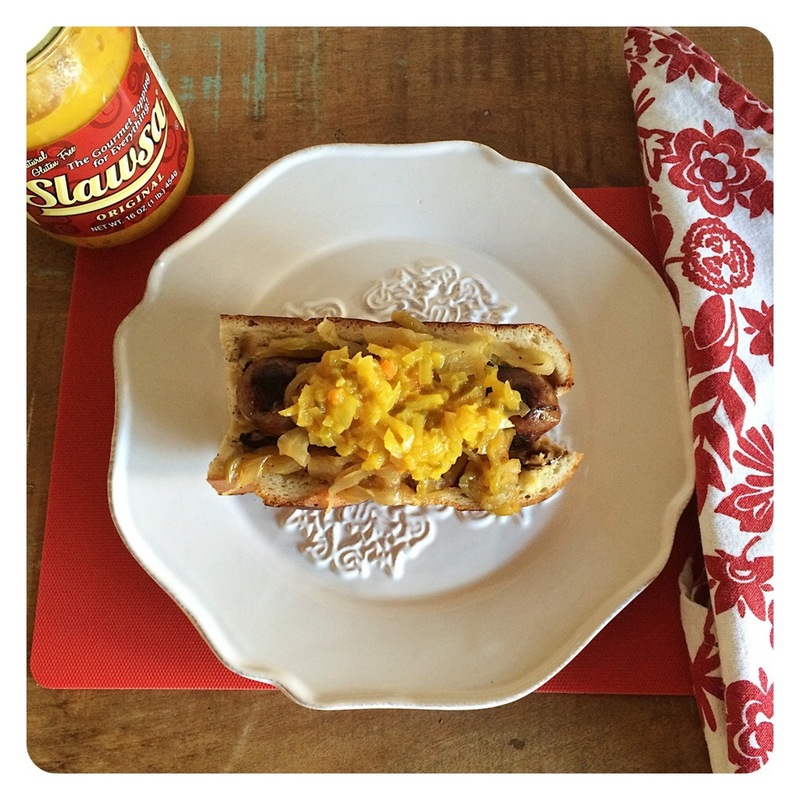 Bring the stove to high heat and add the bratwurst. Let the liquid come to a more rapid boil and immediately simmer. Once simmering, cover the pot and let the brats braise for about 10-12 minutes. Brush a grill pan with canola oil and preheat to high heat. Take the brats out of the liquid, place them on paper towels, and lightly pat them dry. Brush the brats with canola oil. Place the brats on the hot grill and cook for 6-8 minutes or until all sides are charred and crispy. You will want to turn the brats every other minute, so each side is cooked evenly. Place each brat inside the buttered and toasted pretzel buns. 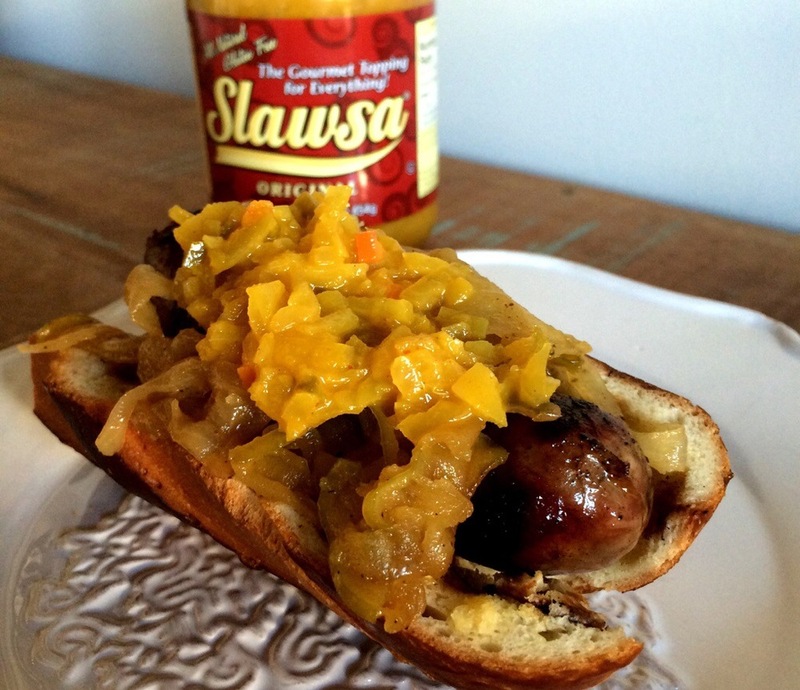 Top with the apple onion mixture (recipe follows) and Slawsa. Garnish with any other toppings you like. Heat butter over medium heat. Add the onions and the apples. 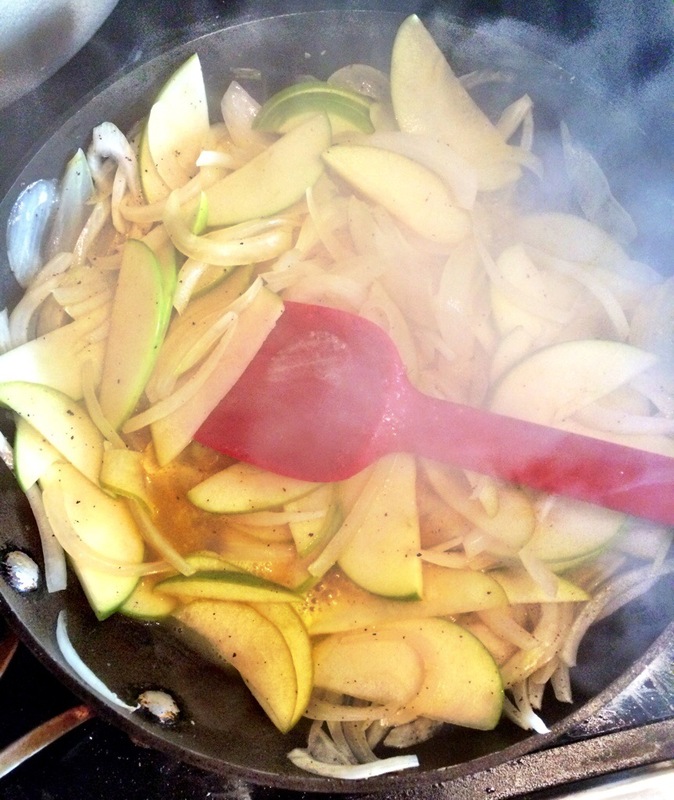 Stir together and add a dash of salt to help the apples and onions wilt down. Squeeze in the orange juice and add the brown sugar. Stir together and let cook completely down until brown and caramelized. It should take 10-12 minutes. Add salt to taste.